The weather is starting to change, we are entering those warm days of fall where the mornings are brisk and the afternoons are warm. 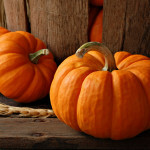 The leaves are starting to turn orange and yellow here in Redmond, Washington, the kids are back in school and it will soon be time to start making plans for the holidays as winter is on its way. Before winter arrives, there is plenty of time to prep your home, both inside and out, for the coming cold months. Some simple winterization prep can save you from a costly homeowners insurance claim from frozen pipes or huge heating bills from drafty spots in your home. Water, water everywhere: Gutters can get jammed up with leaves, branches and other debris. Once the leaves have fallen from the trees, grab a ladder and gently remove the debris from the gutters. Then, rinse the bottoms of the gutter to ensure good flow of water for those winter showers. If your gutters become clogged, rainwater can accumulate around the foundation of your home and possibly seep into the foundation or basement, in which case, you should check for cracks in your foundation and fill them, pronto. A flooded basement can result in a costly homeowner’s insurance claim. Also, anytime you are using a ladder or plan to be on your roof, please let someone know or have someone working with you. An extra pair of hands and eyes can help prevent painful accidents. Where is that draft coming from: The cold winter draft that is leaking in around your doors, windows and from your attic. Take a candle or piece of incense around your home on a windy day and go near doors, windows and attic to look for wind making its way into your home. If your attic has less than 12” of insulation, regardless of where in the country, you should consider adding more. It is an easy do-it-yourself project; any home improvement store should have the tools to help you complete that. It you have single-pane windows you can purchase an inexpensive window insulation kit to add another “pane” to the glass. This keeps the cold air trapped between another layer instead of entering your home. Other areas drafts can creep in are: recessed lighting, door frames and electrical outlets. A variety of caulks, gaskets and weather-stripping is available at any local hardware store. Keep warm: Do your heating bills spike up during the winter? Aside from performing the aforementioned “draft tests” checking that heating equipment is in good repair may help keep that heating bill down. The furnace can run much more efficiently if it has a clean filter in it. Consider changing your filter once a month. They are inexpensive and pay for themselves in efficiency gains. Also think about checking out your duct insulation. Ducting in homes can become exposed from being bumped in the attic or crawlspace over time and there are huge efficiency losses from this. Ensure your ducts are covered with insulation and not exposed. Also, check for any leaks in connections while the system is running. Speaking of exposure, pipes that are exposed during the cold winter may freeze and explode if not properly insulated. Protect any exposed water pipes with insulation, if a pipe bursts in winter it can cause thousands of dollars in damages. It takes just a few minute to insulate your pipes, a step that can save a headache down the road. Do you smell smoke: Turning on the fireplace is a winter tradition, whether it is a gas or natural wood fireplace. It can also be a hazard if your chimney is dirty. A cleaned chimney will remove creosote, a flammable byproduct of burning wood. Keep your home safe from chimney fires by hiring a professional chimney sweep to remove any build-up. Make sure you are prepared if a fire does break out with a fire extinguisher (it may qualify you for a discount on your homeowner’s insurance in Redmond, WA) and make sure you have fresh batteries in your smoke detectors. It is always a good idea to check your batteries in the smoke detectors a couple times per year. Count this as one. While you are taking the time to prep your home for the upcoming winter, talk to your licensed insurance agent to ensure the homeowner’s insurance covers events like floods or fires that may occur during the winter months. Chess Insurance Agency in Redmond, Washington can guide you through your homeowner’s insurance policy and add additional coverages like flood insurance and earthquake insurance. Their years of insurance experience can save you a bundle, and they live right in your area, so know first-hand what your insurance needs might be. You can also visit their insurance website 24/7 to learn more about the other insurance products they offer. The heat of the summer is celebrated with sunglasses, board shorts and boating, and while it can be quite warm, the summer season is just downright pleasant in Redmond, Washington. But the summer heat does come at a cost. Summer is also fire season and each year millions of acres across the country are burned. It is not just forests or brush plains that are destroyed, homes and businesses that get in the fire’s path are consumed as well. According to the National Interagency Fire Center, wildfires burned more than 9.3 million acres around the country in 2012. The 2013 fire season has started off with destructive blazes in California, Colorado, Alaska and Arizona. While many natural disasters like floods or earthquakes require a special insurance policy, Wildfire Insurance is generally covered under the comprehensive portion of a homeowner’s insurance policy. The price of the policy may be higher if you live in an area that is prone to yearly fires. Wildfires are both friend and foe, as they are needed to clear out overgrowth and dead trees. A charred forest allows for new growth trees and helps reduce the risk of another fire occurring in the exact same area during the summer months. The spark: Most wildfires start from lightning strikes. The dry foliage and hot winds provide the perfect setting for a fire to ignite. Wildfires can also start from simple mistakes like forgetting to completely douse a campfire or a spark from the backfire of a motorcycle or RV. Even if it is an accident, a person who is found negligent in starting a wildfire may be liable to pay restitution, which can be millions of dollars. Having a personal umbrella policy may help you pay some of those restitution costs. Fighting fire with fire: Through a multi-tiered effort of local and federal agencies, firefighters try to starve a wildfire by creating a perimeter. Firefighters burn the wildfire’s food source, dry vegetation, it hopes that the wildfire will become more manageable, easier to put out with air drops of water. There is a risk however, burning a perimeter may result in another uncontrolled fire if the conditions are just right. But the same principle that firefighters use to try and control the growth of a wildfire could help prevent a significant wildfire insurance claim. Prevention starts at home: Helping protect your home from wildfire damage starts in your yard. If you live in an area that is prone to wildfires, you will want to create a perimeter around your home that is free of debris and flammable materials. Keeping things like sheds and wood piles at least 30 feet away from your home helps reduce the chances of a fire jumping from one structure to the next. Remove a wildfires fuel source by pruning trees and removing dead or dying plants. There are also several websites that can show you how to fire proof your yard like Readyforwildfire.org and U.S. Fire Administration. Take the time to learn about wildfire danger in your area and to prep your home against the threat of wildfires. Talk to your licensed insurance agent in Redmond, WA to ensure that wildfire insurance is included in the comprehensive section for your homeowner’s insurance policy. Chess Insurance Agency in Redmond, Washington can guide you through your homeowner’s insurance policy and add additional coverages like flood insurance and earthquake insurance. Their years of insurance experience can save you a bundle, and they live right in your area, so know first-hand what your insurance needs might be. You can also visit their insurance website 24/7 to learn more information. Summer is a great time to throw parties. BBQs, birthdays, Fourth of July celebrations or just for no reason at all, the summer is when it happens. From the cleaning, the shopping and the food preparation, a lot of thought gets put into the needs and comfort of your guests. While there are many things that may cross your mind in regards to your party, it may not occur that if the party does not go according to plan and someone is injured or gets sick that the hosts of the party could be held liable. In the event that someone gets injured at a gathering you throw at your home, your homeowner’s insurance policy in Redmond, Washington may cover the injured party’s medical bills or damages to a certain dollar amount. Having an extra bit of protection like a personal umbrella insurance policy in Redmond, WA may help in these situations, as it can also help with a legal defense if you are sued for an injury or death that occurs on your property or when your guest leaves (too much alcohol). Unforeseen events: Most parties go off without a hitch, no problems, and no injuries. Every so often something goes awry. It can be as simple as a sprained ankle from slipping off the porch steps to food poisoning from improperly refrigerated potato salad to a DUI or alcohol poisoning. If the party where the injury took place occurred at your home and you are deemed negligent, you may be responsible for paying damages to those injured parties and a personal umbrella insurance policy in Redmond, WA may help you minimize the out-of-pocket costs to you. Intoxication: Depending on the laws in your city/state, a person who consumed alcohol at your party and injures someone else as a result of a DUI crash could hold you liable to pay the victim damages. There are a few ways to mitigate your liability: hiring a third-party to tend bar, like a catering company. These companies are responsible for having their own insurance and it is a lot easier for them to stop serving alcohol to an intoxicated person; they know all the signs to look for. If you are not able to hire an outside party to handle the liquor at your party, stick with only a few options for adult beverages like wine and beer. Having multiple types of liquor may increase the risk of someone having too much to drink. A little prep: Before you have your party, take the time to make sure that your yard (or party area) is free of uneven patches of ground, mounds and holes. Make sure that entryways are clear of tripping hazards and that low hanging lights are high enough that tall heads won’t get tangled up. Taking a few extra steps may help ensure that your party is safe and fun. If you plan on taking advantage of the summer weather by throwing a party, make sure you have all the protection you need. If you have any questions about what a personal umbrella insurance policy may cover or what your homeowner’s insurance policy covers in terms of fire, property damage or personal injury liability, your licensed insurance agent in Redmond, WA can assist you. The local, independent agents at Chess Insurance Agency can assist you with examining an existing policy or setting you up with a new policy. Their years of insurance experience can save you a bundle. You can also visit their insurance website 24/7 to learn more about personal umbrella or the other insurance products they offer like auto insurance. No one wants to think that they may be stuck in their home during a natural disaster, but the reality is natural disasters happen in every state in our country. During a natural disaster, keeping your family safe and comfortable is a top priority and having a disaster preparedness kit in Redmond, WA will help you. Two week supply of non-perishable food like crackers, protein bars, dried fruit, etc. Copies of important documents such as insurance cards, IDs, home inventory lists, etc. Of course you can add additional items to your disaster preparedness kit in Redmond, WA depending on the needs of your family. Store your disaster kit in an easily accessible area, make sure you check your kit often and update it as things expire. For more information about a disaster preparedness kit, please visit Ready.gov. We hope that you never need to use your disaster preparedness kit, but we hope that it will help get you and your family through the stress of a natural disaster. If a natural disaster does occur in our area, once your family is safe, call your insurance agent at Chess Insurance Agency in Redmond, Washington as soon as possible. They can help you get the claims process started. Whatever your insurance needs, the experts at Chess Insurance Agency can help. Their years of insurance experience can save you a bundle! You can also visit their insurance website 24/7 to learn more about the other valuable insurance products they offer like earthquake or flood insurance. It seems these days that things just get more and more expensive. From the cost of groceries to a gallon of gasoline, folks may be pinching quite a few pennies to stay ahead. If you own a home or condo, just the maintenance and home insurance in Redmond, WA can feel like an overwhelming cost. But fear not, there are some simple things you can do around your dwelling to help reduce the cost of your home or condo insurance in Redmond, WA. LOCATION: Before you even buy your home or condo, check out the location. Are you close to a fire or police station? Is the area prone to flooding or earthquakes (ahem, PNW)? Make sure you not only look at the convenience factors of your new home (grocery stores, freeway access) but make sure the area is also safe. Neighborhoods with high crime rates or those in a flood plain may cost more to insure as the likelihood of an expensive claim is greater than those neighborhoods without those factors. SMOKE DETECTORS: Is your home safe and secure? Most home these days have smoke detectors, but check to make sure yours are in proper working order and have fresh batteries (we all hate that beeping!). It is also a good idea to keep a small fire extinguisher in your kitchen or garage in the event of small household fire; accidents happen and being prepared goes a long way. Make sure that your insurance agent knows that you have working smoke detectors and a fire extinguisher. SECURITY SYSTEM: Is your home wired for a security system? While it may be a small monthly charge, having a security system could save you coin on your insurance premium. That being said, make sure your system is armed and those who need the code have it…otherwise the local police department, upon responding to the babysitter couldn’t shut off the alarm, will send a ticket upwards of $200 to you, the homeowner. MAINTENANCE: You water the lawn and trim the hedges, but do you remember to check the water heater for leaks? Performing a little TLC on your home like keeping the roof in good repair, maintain the gutters, eliminating hazards like dead trees (also pruning tree branches that a perched above roofs, cars or decks) can eliminate the need for an insurance claim should the water heater flood the house or the roof begins to leak. Also, catching small issues early generally saves you money during the overall repair. ENERGY UPGRADES: We want our cars to be energy efficient, consuming less gas so we can save more money, your home should be the same way. Switching out light bulbs to energy efficient LED bulbs and having certified energy efficient appliances can help save you money each month on your utility bills. Even turning your thermostat down a few degrees and grabbing a blanket to get warm can help you save. If you have been thinking about replacing your water heater, washer/dryer, range or refrigerator, check out Energystar.gov for Energy Star certified appliances and other helpful home efficiency ideas. 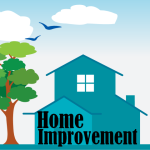 Be sure to tell your agent about any upgrades or improvements that you have made to your home! Before purchasing a home or condo, it’s important to remember to talk to your licensed insurance agent in Redmond, WA to ensure the homeowners insurance is affordable. Before you conclude that you found the perfect property, get an expert opinion from Chess Insurance in Redmond, WA. Their years of insurance experience can save you a bundle, and they live right in your area, so know first-hand what your insurance needs might be such as earthquake insurance or flood insurance. You can also visit our insurance website 24/7 to learn more while you search for the perfect new home. Many homeowners don’t think about mold and in all honesty, most will never have to deal with a large mold problem in their homes. However, mold is an issue in almost all parts of the United States, including Redmond, WA where it is often wet and mild temperatures, and prevention is key to keeping mold from damaging or even ruining your home. Mold, if left undetected, can quickly spread from one area to another as it feeds on organic matter in your household. In order to prevent mold from spreading, it is key to identify it immediately and treat it. Most homeowners insurance policies will only pay to remove and/or repair a small amount of damage caused by mold or mildew. While it may be impossible for a typical homeowner to identify mold problems in their home, it is recommended that you have a mold inspection completed annually to ensure that if mold begins growing, that it can be removed and the problem eliminated before it becomes a major problem. If you find mold growing in your home, the minor cases (usually less than the size of your hand) can be treated with bleach water and a scrub brush or abrasive sponge to remove it. Mold remediation is typically not covered by your standard homeowners insurance policy unless it is the direct result of another, covered loss such as a pipe bursting. Regardless, you need to talk to your licensed insurance agent for a more definitive answer as all homeowner’s insurance policies are different and what one company may cover, another may not. Mold claims can be very expensive, typically exceeding the cost of a traditional homeowners insurance claim by 5 times. If you suspect mold may be in your household (a damp smell in the air) contact a specialist immediately. Not only can mold be bad for your home, it can have serious effects on your health resulting in asthma and more. 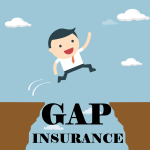 Closing the Gap: Do I need Gap Insurance in Redmond, WA?